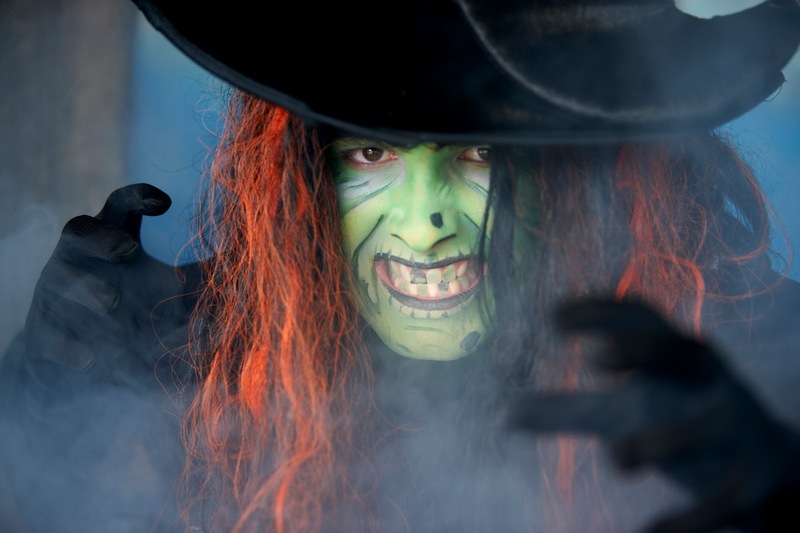 Put your nerves to the test and get ready to come face to face with g-g-g-ghosts and ghouls at Drusillas Park! Prepare yourself for a whole host of spine tingling surprises and eerie entertainment. The award-winning zoo in East Sussex has plenty of fun events planned to keep your little horrors half term happy between Saturday 21st and Sunday 29th October. 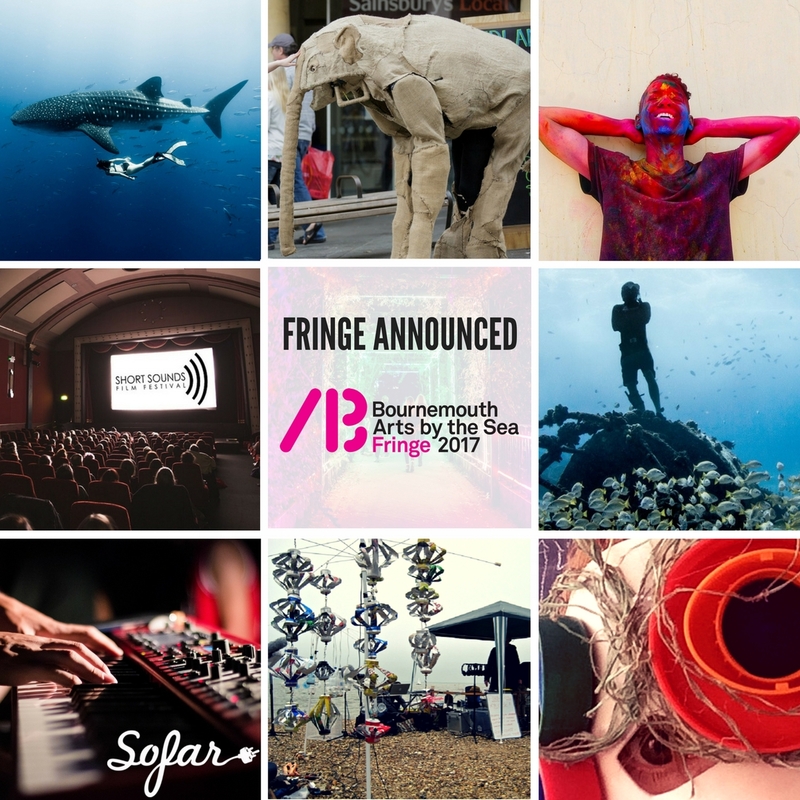 However the fun doesn’t stop here, there are lots of other exciting events lurking around the corner! On Wednesday 25th October crime solving Scooby-Doo will be visiting Drusillas. The cowardly hero will be meeting all you meddling kids in the Events Arena at intervals throughout the day. Plus there are Creepy Crawly encounters in the Discovery Centre throughout the week. With all this, plus the usual animal magic, it’s well worth jumping on your broomstick and heading to Drusillas Park. 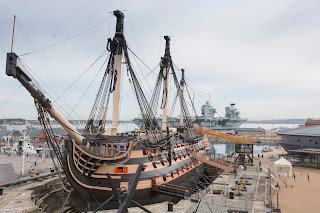 During the 14 years that I lived in the great city of Portsmouth, I visited the Historic Dockyard on numerous occasions; whether with family, friends as a tourist, to attend business functions or events or on a personal note, to run past the ships (as fast as I could! ), in the annual Great South Run. It is an amazing location that continues to evolve to meet the changing interests of the visitor as well as conserving the country’s naval heritage. The Mary Rose has been described as Britain’s Pompeii and who am I to disagree? The Mary Rose is the only 16th century warship on display anywhere in the world and last year the museum reopened, enabling us to all see this magnificent vessel as it has never been seen before, with panoramic views of the 9 different galleries. Several years ago I was fortunate to get a rare opportunity to see at close hand many of the artefacts, such as hair combs, plates, cutlery and boots – all in astonishing condition, despite having lain on the sea bed for hundreds of years. The new museum has thousands of such artefacts on display and it is well worth spending time viewing these impressive items to imagine what life on board the ship would have been like all those centuries ago. In my book, the Mary Rose museum is worth the admission fee alone – but there are plenty of others things to see and do, whatever your age or interests. It is worth noting also that the Portsmouth Historic Dockyard does offer All Attraction Tickets at great value - £28, if you book online, which can then be used all-year round. So if you want to revisit, or go to one of the off-site attractions such as the Royal Navy Submarine Museum in Gosport across the water, you can do so without paying an additional fee. My next favourite destination in the Historic Dockyard has to be HMS Victory. The ship is still officially in active service in the Royal Navy, a tribute to the important role it played in the Battle of Trafalgar as Britain’s flagship under the leadership of Vice-Admiral Lord Nelson. As you climb up the steps of this beautiful example of Georgian naval sea power, you can see how the men lived, slept, worked and ate in often perilous conditions. Stand on deck to see where Nelson was fatally wounded and look out across the harbour to appreciate the views and history which surrounds you. 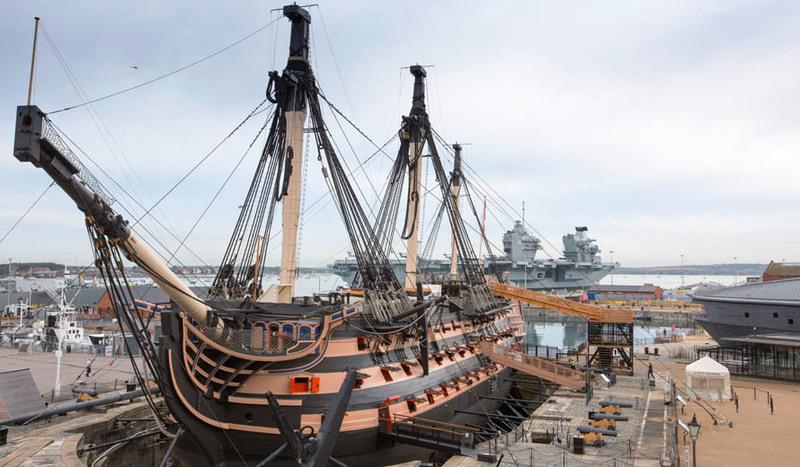 HMS Victory is currently undergoing a well-deserved renovation project to support the weight of the ship, but remains open to the public. What's new at Portsmouth Historic Dockyard? These are only just two of the attractions that you can see in the Historic Dockyard. There are several new and recent developments too, including Boathouse 4 which has recently been converted into the Boatbuilding Skills Training Centre, providing opportunities in the traditional craft of boatbuilding and the future relocation of the Royal Marines Museum to the site. 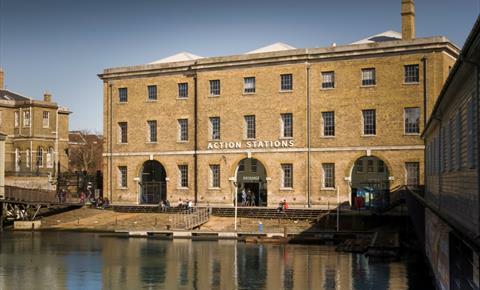 Whether you have children that need to be entertained or you are looking for ideas for older generations to spend a day out – the Portsmouth Historic Dockyard should be high on your list. Find more things to do in Hampshire on the Visit South East England website. There’s still time to enjoy some amazing events at Blenheim Palace before the summer holidays come to an end. Whether it’s open air family theatre production or transport festivals there is something for visitors of all ages to enjoy. Whatever the weather there are a whole host of indoor and outdoor interactive activities to join in. If the sun is shining head outdoors to make the most of the 2,000 acre World Heritage Site with Pony Rides in the Park, 26 – 27 August or picnics overlooking the ‘Finest View in England’. Let adventure run wild as you explore the ‘Capability’ Brown Parkland surrounding Blenheim Palace. With over 300 years of history there are plenty of myths and legends to discover as you wander around the Estate. Journey to Fair Rosamund’s Well, visit the famous Harry Potter tree and see inside the Temple of Diana, where Winston Churchill proposed to his beloved Clementine during a summer downpour. On Sunday 27 August the Pleasure Gardens are playing host to Immersion Theatre’s Wind in the Willows. The race is on to save Toad Hall! Everyone will enjoy the interactive show with Ratty, Mole, Badger and of course, Toad! Plus from 27 – 28 August the annual Festival of Transport roars back to Blenheim Palace. Sunday 27th August will feature the Classic Car Show and Monday 28th August will include not only the Classic Cars, but also motorcycles, Minis and VW's, Customs, Hot Rods and Americans, Kit and Sports Cars. Learn more about automobiles during your visit. If the weather isn’t as glorious head indoors where the Palace is leading Upstairs Tours and Downstairs Tours alongside visits to the Duke’s Private Apartments, the State Rooms and exhibitions charting the life of Sir Winston Churchill, who was born at Blenheim Palace. 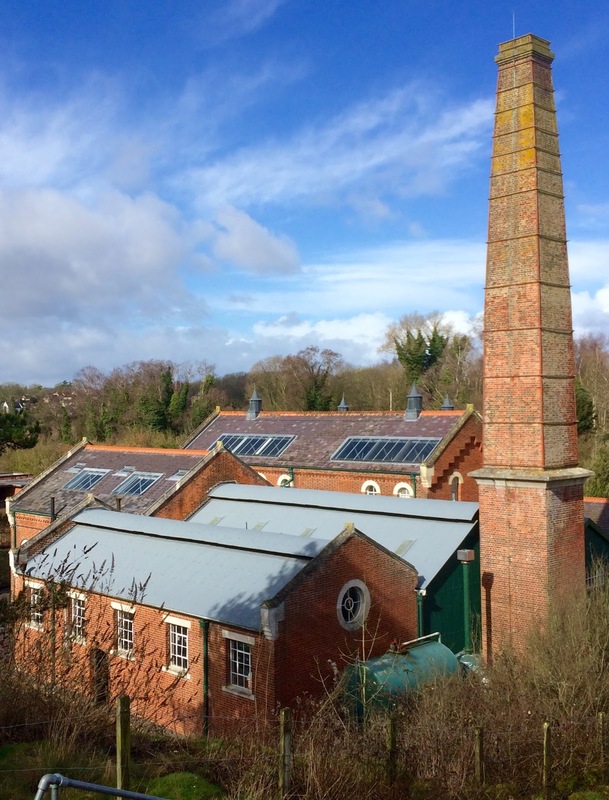 The historic clean water pumping station at Twyford Waterworks, a Scheduled Ancient Monument, will be open for visitors to discover how water was, and still is abstracted from deep beneath the Downs on Sunday 4th September. On display will be steam, diesel and electric pumps, all original to the site, along with the water softening works, industrial railway and unique water powered engines. It will also form the picturesque backdrop to the annual gathering of classic vehicles which range from the diminutive Austen Seven to the large fire engine. Admission is £5 for adults, £4 for concessions and children under 16 are free. Open from 11.00am to 4.00pm the site also boasts a tea room offering refreshments, free guided tours, picnic sites and a nature trail. Blenheim Palace has announced it has raised in excess of £200,000 in Gift Aid so far this year. The UNESCO World Heritage Site and birthplace of Sir Winston Churchill, was officially designated as a charity in January. Its new status has allowed Blenheim Palace to operate the Gift Aid scheme which enables charities to claim back income tax on donations made by visitors who are also UK taxpayers. This means they can claim back 25p for every £1 donated from the government; boosting the value of the donation by a quarter. What will it be spent on? All the money raised is being used to help fund critical restoration and conservation work on the 18th century Oxfordshire stately home which is widely regarded as one of Sir John Vanbrugh’s greatest achievements. 'We are extremely pleased with the overwhelmingly positive response we have received from visitors following our decision to become a charity at the start of the year,” said Blenheim Palace’s Dominic Hare. 'The money raised is helping us fund a variety of essential maintenance programmes including urgent repair work on 18th century Bladon Bridge, repairs to original plaster work ceilings in the staterooms and renovating the gilded cast iron Flagstaff gates to the Palace. 'It will also enable us to improve the heating system; both to save energy as well as create a better environment for the long term preservation of the many treasures within the Palace itself,' he added. Widely regarded as a masterpiece of 18th century Baroque architecture, ‘Britain’s Greatest Palace’ was originally built to celebrate the First Duke of Marlborough’s famous military triumphs against the French and Bavarians during the War of the Spanish Succession, which culminated in the 1704 Battle of Blenheim. At the time the victory was hailed as the greatest British military success since Agincourt and, as a mark of a grateful nation, Queen Anne financed the building of Blenheim Palace. Sir Winston Churchill was born at Blenheim in 1874 and spent much of his childhood there. He even proposed to his beloved wife Clementine in the Temple of Diana in 1908 during a summer downpour. Winston’s love of Blenheim Palace remained to his dying day, he chose to be buried beside his parents in the cemetery of St Martin’s Church in Bladon – the tower of which can be seen from the Palace. A permanent new gallery describing the training of Royal Marines Commandos has been relocated from the Royal Marines Museum in Eastney to Action Stations in Portsmouth Historic Dockyard. ‘The Making of a Royal Marines Commando’ takes visitors stage by stage through the 30 weeks of RM Commando training and gives them the opportunity to step into the boots of an RM Recruit. Using a broad mix of interactive exhibits, from high tech ones like an SA80 rifle simulator, to finding out how to fold your shirt ‘Globe and Laurel’ style, the exhibition requires active participation from visitors! It also includes a range of objects especially acquired for the exhibition, including equipment used by Mountain Leaders, Snipers and Aircrewmen. Perhaps the most striking aspect of the display is that most of the narrative for the exhibition is through the words of Royal Marines themselves. Nine ‘raw’ Royal Marine recruits were recorded as they embarked upon one of the most demanding military training courses in the world at Lympstone’s Royal Marines Commando Training Centre. They tell their story – from their earliest thoughts on arrival at Lympstone, through to their reflections on earning the coveted Green Beret. This is complimented by moving and still images, and sets which include part of an Inflatable Raiding Craft and an original kit locker from the Foundation Wing at Lympstone where recruits spend their first few weeks. 'This dynamic gallery combines interactive displays, physical activity and personal stories; it brings visitors close to the unique ethos of the Royal Marines – courage, determination, unselfishness and cheerfulness'. Located in Action Stations, where you can also scale a climbing wall, experience the thrills of piloting a Merlin helicopter and test your skills on the on the Ninja Force assault course, the new exhibition is well integrated alongside high-octane and high-tech activities for all the family to enjoy. For an unforgettable family adventure this summer, visit Groombridge Place near Tunbridge Wells, to discover the amazing new handcrafted Treetops Walkway which is an incredible 350m long and stands at over 20m above the forest floor. Discover a unique world as you explore life in the tree tops of Groombridge Place. 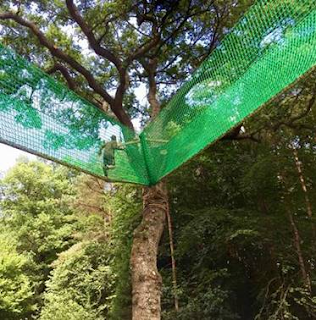 Experience something truly magical as you climb higher and higher along the ropes into the tree canopy of the huge Oak, Pine, Beech and Chestnut trees which make up this ancient forest. 'As part of a major new expansion programme, we have installed an exhilarating new experience at our attraction like no other in the UK. For nature lovers, this is a chance to see the wildlife living in the tree canopy and observe the beautiful Fallow Deer which frequent the forest. There are sturdy wooden platforms at the beginning and end of the Treetops Walkway and a big chunky 4-sided rope ladder provides an additional entry and exit point along the away. The adventure will take at least 30 minutes to complete and the 360 degree views are well worth the exhilarating climb. 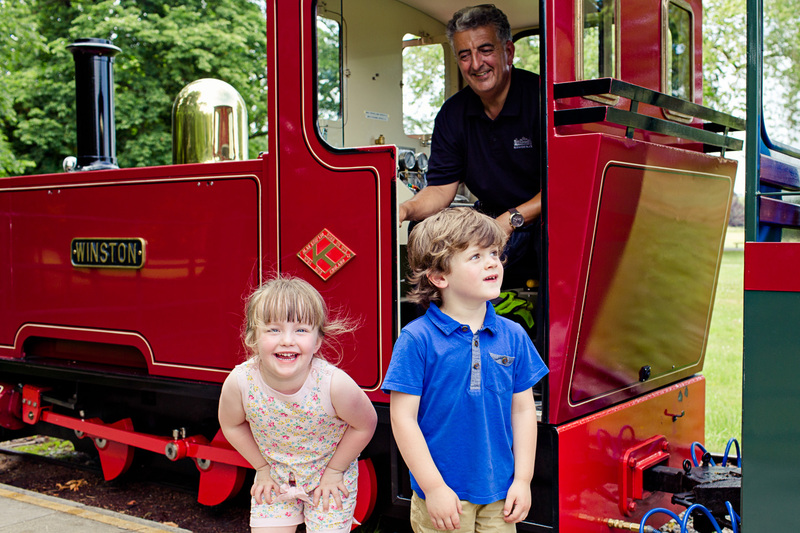 The experience is safe for everyone but we suggest children under 8 are accompanied by an adult at all times. 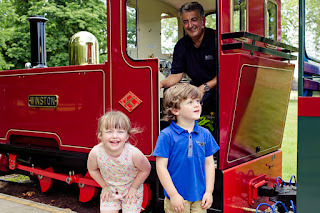 Groombridge Place is located just outside of Tunbridge Wells with its main line station with regular daily trains from Charing Cross, Waterloo East and London Bridge. Groombridge can be accessed via public transport and via the Spa Valley Heritage Railway (see timetable for days of operation). Family (2 adults & 2 children) £49.95. Add £5 per person for the tree-top walkway experience. 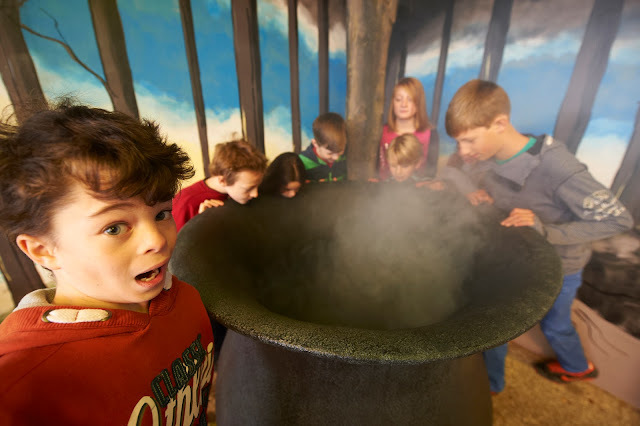 Visitors can also delve into the magical world of Wizards and Monsters with our fun themed event which takes place daily until 20 August. Meet the colourful characters of olde Groombridge and witness the magic of the Wizard and his friends during this fun filled family event. Last week the Butser IX Legion set off on an exciting journey to Fishbourne Roman Palace, to collect a few artefacts kindly donated by the Fishbourne team. The artefacts date back to an archaeological dig from 1992 around the Fishbourne area, and include boxes of ceramic building material. Since the dig, these materials have been catalogued, recorded and studied as archaeological evidence, and now the Fishbourne team have decided to kindly donate a few of these artefacts to Butser Ancient Farm, where they can be used to teach schoolchildren about Roman Britain through the Butser education programme. Two members of the Butser Roman IX Legion arrived to collect the artefacts from curator Rob Symmons and take them back to the farm, where the Butser team will be able to offer children the chance to hold pieces of history in their hands. Rob and the rest of the Fishbourne team are delighted that the artefacts have found a new home and will engage new children with archaeology, bringing the past to life and forging a connection with our ancestors. What are these artefacts collected? The artefacts relate to the Roman occupation of the area, which was one of the earliest places that the Romans occupied Britain. The local Iron Age ‘king’ Togidubnus was apparently receptive to Roman settlers, and may have aided the Romans in establishing their presence in the area. The palace itself may well have been the home of Togidubnus, who had become Romanised and affected a Roman lifestyle. Sometimes, pieces of tile like this still have fingerprints inside them, so that you could essentially put your finger or thumb into the print of the same person who made it. What better way to bring ourselves closer to ancient people? What better way to bring ourselves closer to ancient people? If you’d like to learn more about Roman Britain, join the team at Butser for their Roman Summer extravaganza, running throughout August and finishing with their Glorious Games & Gladiators day on Monday 28 August. More info can be found at here.